I’ve been doing it wrong. Actually, I know I’ve been doing it wrong for a long time. 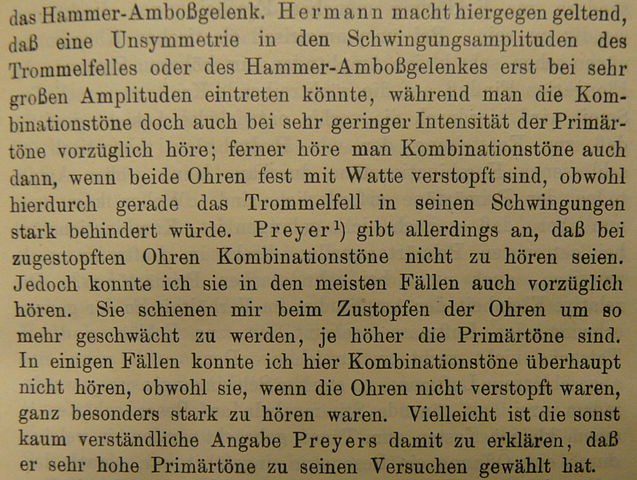 You see the space after the period in these sentences? Double spaced. It used to be pretty standard. It was used to make sentences appear more separated. I was taught to do it that way. You see, I was taught to type on a typewriter. When I started typing in school, we didn’t use computers with word processors. We used electric typewriters. And since their wasn’t variable spacing for the letters, and we only had one font, we used a double space after the periods. I got used to doing that. These days, word processing software has made this obsolete. In fact, using a single space has been standard for many years. There was no need for me to learn to use a double space. But over the years, I was using a double space because that’s what I was taught and I was used to. Out of habit, I’d been using double spaces while knowing it was wrong. Now, I’m typing with single spaces after the period. What about you? Do you use single or double spaces? What Grammar Problems Do You Have When Writing? English has some of the most difficult grammar of any language. There are so many rules, yet many exceptions to those rules. English breaks the rules often. Although it may not be the most difficult language, it is one of the most unusual languages. Why? Because it’s had influences from several languages and is more like the Frankenstein’s monster of languages. Writers have to deal with English grammar when writing. Some are not experts at grammar, while others seem to have a wonderful way with the language. But what do you have difficulty with in writing? In my case, I find that I use the passive voice too much. I use it correctly, but it’s not effective when writing fiction. It doesn’t have the feeling of action. The narrative must be active so the reader feels like they’re in the story along with the characters. I don’t have this problem as much now, but sometimes it creeps in. What about you? When you write, what kind of grammar issues do you have? Let me know in the comments below. 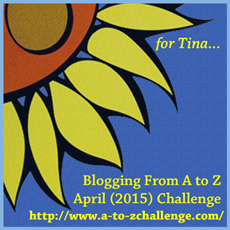 Do you get told off when you use adverbs in your writing? How about requests to reduce adjective use? Well, this should make you happy. You can use adverbs. Just don’t overdo it. Very useful post. Every once in a while, you come across a discovery that gives you the opportunity to transform your writing. This post is about just such a discovery. 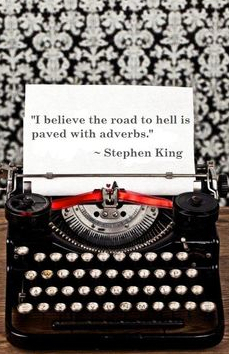 The road to hell is paved with adverbs, so says Stephen King. And, who am I to argue with Mr. King. I teach English in Japan. I’ve been doing it for more than 9 years, and should be here another 2 years. As a result, I’ve been forced to think about English grammar and vocabulary nearly every day for quite some time. It probably helps me with my writing in some ways. One aspect of my job is that I have to know the proper way to say something using grammar. Now, this isn’t always required, since I’m teaching conversation, not writing. I teach a lot about casual conversation, as well as formal and business English. There are idioms, figures of speech, and many other aspects of language that are not very natural for Japanese people to use. You see, they learn grammar in school, but not conversation. They can read reasonably well, but when it comes to speaking, they often can’t do much. Of course, I do teach advanced students, but they’ve been studying English for a long time or have had to use it in business or lived overseas. I’m exposed to a large variety of students, so I have to use many different kinds of language. As a result, dialogue may be one of my stronger suits in writing. When I began teaching, I didn’t know everything. In fact, I found it kind of difficult to explain different rules for grammar and the difference between similar words. This has caused me to learn a lot about my own language. I’m a bit of a perfectionist when it comes to grammar these days. I guess I’m a Grammar Nazi. I’ve also always been good at spelling. In grade 8 in junior high school, we were given a spelling test to determine what level of spelling we had. I had a perfect score. I was spelling at a university level while I was 13 years old. So when I write a draft, my spelling and grammar tend to be very good. However, that doesn’t mean it’s great to read. An interesting thing I’ve found is that the Japanese language has loan words from English, but the meaning is different. For example, Japanese naive means sensitive in English. Also, there are many mistakes that Japanese people learning English make. For example, the usage of particles (a, an, the), the usage of almost, and verb tense problems. Sarcasm is also not commonly used in Japan, so it often goes over the head of many Japanese. When I read, grammar or spelling errors pop out to me. The rare mistake is fine. But if they’re happening on every page I read, I find it difficult to read and take the book seriously. Problems with to and too, confusing your and you’re, and mistakes with their, there, and they’re irritate me. I also easily spot problems with quotation marks and commas when using dialogue and dialogue tags. And the incorrect use of apostrophes aggravates me. Maybe I could be a proofreader. Or maybe I should stick with writing and blogging. Do you have any difficulties with grammar or spelling? It’s embarrassing to say this, but I often forgot if it’s embarrassing or embarassing. I don’t have that problem now. Writing takes a long time to perfect. Actually, I don’t think anyone ever completely perfects their writing, they just keep learning. Well, I’m also a reader. I read almost everyday. But you know what? I usually don’t pay much attention to style while I read. I get myself immersed in the experience, rather than analyse the writer’s style. If I did that, I couldn’t get myself into the story. Well, today, I decided to just reread a page I’d read in A Storm of Swords by George R. R. Martin. I read specifically for how he writes the narrative. What I discovered was interesting. He tends to use very straightforward and simple sentences, especially regarding action and thoughts. He uses adjectives here and there, and he uses descriptive verbs, but the structure is very simple. He doesn’t get flowery with prose at all. This style of writing is great for action. It’s quick, it’s dirty, and it’s very effective. I can see it very well in my mind. Some authors try too hard to make their writing pretty, filled with metaphors and less common words that look intelligent. I read a book that was mostly old and tired figures of speech, and it made the narrator sound like a sarcastic smartass. It was difficult to read. Now, Martin just goes straight for the action and what is happening. It feels immediate. It’s happening now. I like that. What do you think? Is simple the best way to go?